2. Combine yeast, warm water and 1 Tablespoon sugar in a mixing bowl. Allow yeast to bubble. 3. Add remaining sugar, honey, milk, and 3 1/2 cups of flour to the yeast mixture. Mix together for a couple of minutes. 4. Add melted butter, eggs and salt; mix well. 5. Add additional flour 1/2 cup at a time until dough begins to separate from the sides. Let rest for a few minutes. 8. Once the dough has doubled, punch it down to release the air. Empty dough onto a lightly floured work surface. Using a rolling pin, roll the dough out till it is about 1/2-inch thick. 9. Place dough onto a greased baking sheet and cover loosely with greased plastic wrap. 10. Allow to double in size again, about 1 hour. 11. Bake at 350*F for about 15-20 minutes, until golden brown. 12. 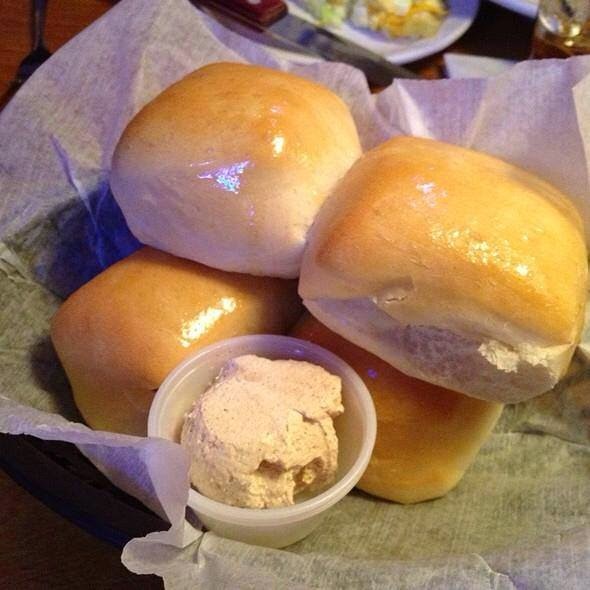 Immediately rub the tops of the rolls with additional butter. Best served warm. Store extras in a zip-top bag.